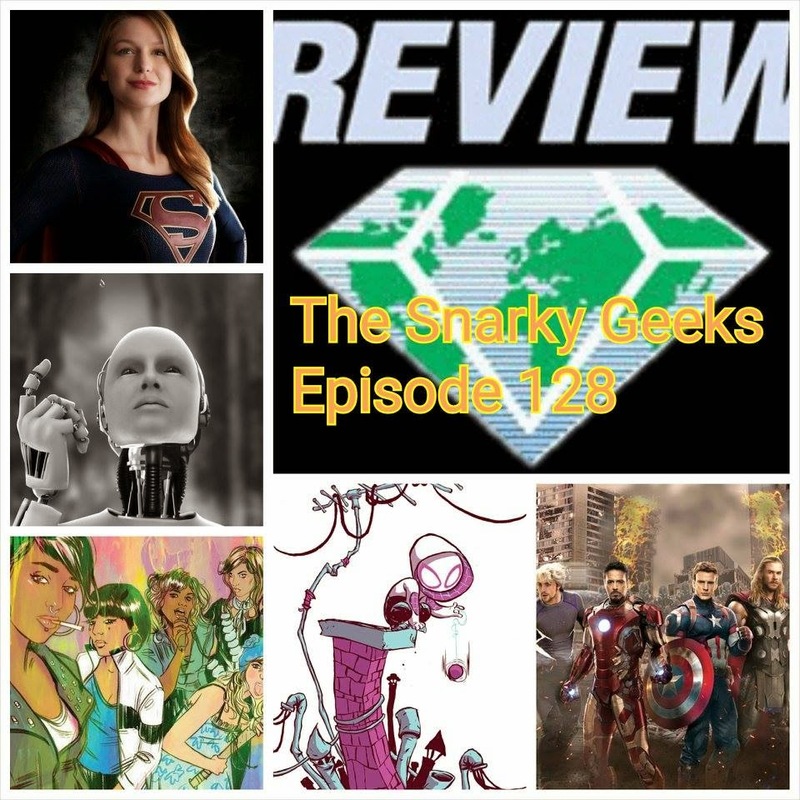 Snarky Geeks Episode 128 - ...Parker's Angels! The Snarks go over the latest Avengers: Age of Ultron Trailer, Then veers into a topic of A.I. related movies, Are we watching them?... or are they watching us? , Short Circuit, Terminator, Matrix, War Games, Chappie, etc, They speak on the New TV Supergirl costume pic, the darker hues of live action superheroes, They then give some comics reviews, Curb Stomp, Spider-Gwen, Silk, Spider-Woman, D4ve(See, more A.I. talk! ), Multiversity: Mastermen, Ei8ht, then they give their top 5 from Diamonds Previews!, plus the Sorry-List and much more! ... You really have to listen to the whole show!